Salary: £22,000 – £26,000 (depending on experience) plus excellent benefits. 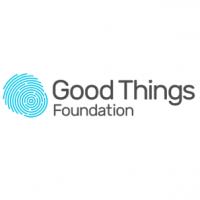 The postholder will be responsible for designing, building and user testing of creative, innovative and inspirational learning content, building relationships and gathering requirements with stakeholders to improve the Good Things Foundation learning offer. We are looking for a dynamic and values-driven Learning Designer to join our team and help grow our learning presence. Developing and maintaining your own portfolio of learning products and services, and will continuously aim to improve your portfolio based on user feedback, data analytics and business need. Actively promoting our expertise in learning, drawing on best practice from the latest developments in learning and development, and pushing boundaries for new learning techniques, particularly in digital learning. Undertaking other duties for the Learning Team which will include updating and writing new web content, monitoring and moderating user generated web content, analysing user trends and delivering face to face and webinar content you have designed. Producing inspirational learning content, particularly e learning. Working closely with internal and external customers and stakeholders. Desirable – experience of delivering learning content face to face. Knowledge of any Web Content Management System. Knowledge of elearning authoring tools e.g. Articulate storyline, Adapt. Knowledge of multimedia software e.g. Adobe Indesign, photoshop. Knowledge of the pedagogy underpinning learning content. Download the job description and application form. Please see the Work for Us Page of our website and send your CV and completed application form to: recruitment@goodthingsfoundation.org by 10 December 2018.